Today I had to work, so I couldn't take part in the noon binge sesh. Dinner wasn't really binging but the table was so full of food that it could feed 10 .. I guess you count it as binging lol. 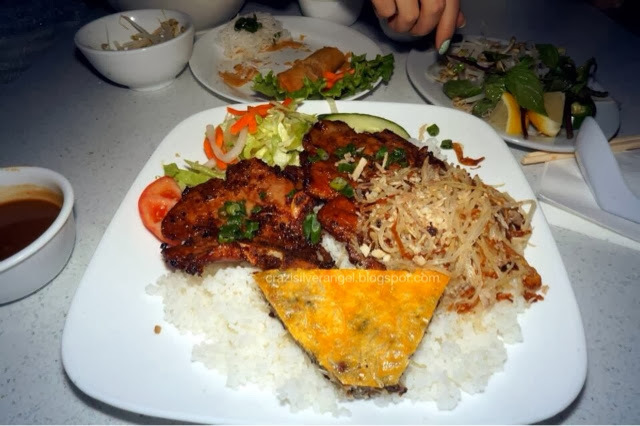 Tonight, we had Vietnamese food! My favorite! And I also have an addiction to spring rolls! I asked if anybody wanted to share some (to decide if I should order a small or large) but everyone said no. Lo and behold...Everyone ended up having a piece. -_-... They can be such losers..